A new one in this week’s CSA share. Agretti. Described here with a wonderful sounding recipe (to be dinner tomorrow night). This recipe is competing with the Mario Batali Babbo recipe for agretti with fennel and anchovy vinaigrette. But I don’t think I have anchovies at the moment. The thing I love most about this CSA from Lancaster Farm Fresh is that totally unexpected off the wall “CHOPPED” worthy vegetable that I never heard of before. It is precisely why I keep coming back to them every year. Today this is what we got. 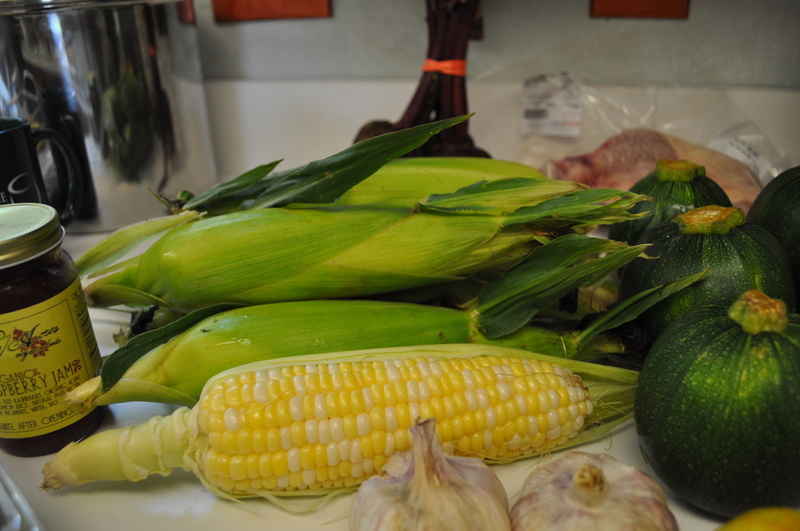 I roasted the beets already, and had two ears of corn with dinner tonight. Beets will be sliced into salads. Cukes will go into a tzatziki. I am also making a ratatouille tomorrow night that will show up a few times. Once as that pie I mentioned yesterday. The chicken breast will be poached and become salad. 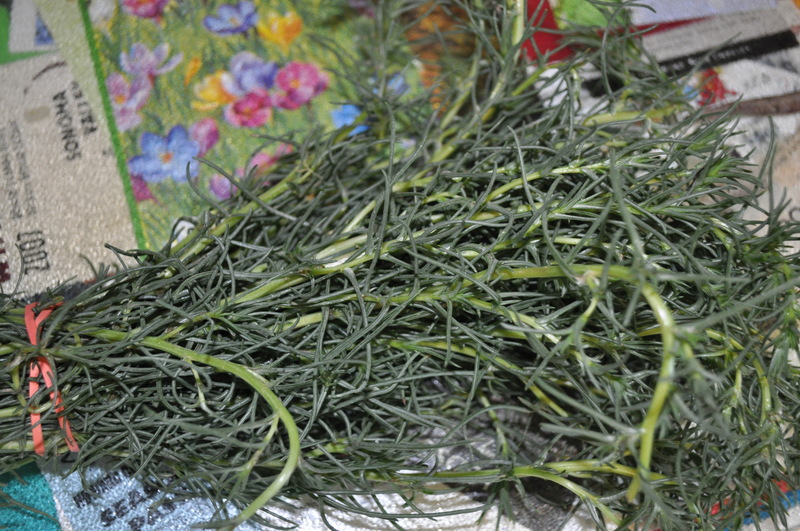 Can’t wait to taste that agretti tomorrow night. Another new adventure. Thanks to LFFC. 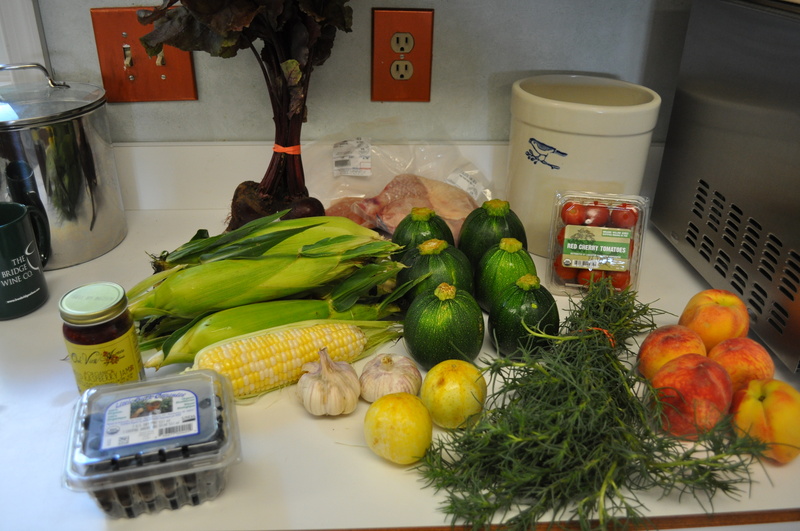 Tomorrow I will talk about the Friends and Farms basket and how I will be taking the Buy Local Challenge to the EXTREME! By the way, the corn is awesome. Posted in CSA, Food, LFFC, Locavore and tagged buy local challenge, cooking, CSA, Food, foodie, Locavore. Bookmark the permalink.